I highly recommend the WordPress platform not just for blogs, but for any type of website because it’s super quick and easy to get setup and it’s free, so you could literally have a professional site up and ready in an evening. Once you have your WordPress blog or site going you’ll have access to countless plugins that can help you add all types of functions and features to the site. One of my favorite plugins is Max Banner Ads because it allows you to easily manage all of your banner ad campaigns without having to know any HTML. The Max Banner Ads interface helps you to setup any size or type of banner ads, and lets you choose when and where they will show up. You can plugin any number of banner ads, simply by copying and pasting the URL and link image, and you can have them rotate so visitors don’t get bored with and become blind to the ads displayed on your site. With the Max Banner Ads plugin you can choose whether to display ads at the top or bottom of a post, only after the last post, or you can even elect to have ads show up within every other post or specifically within posts #2, #5, #9 and so on, all with the touch of a mouse. The best thing about the plugin though is the ability to track the impressions, clicks and click through rates for every ad on your site, all from one spot within your administration panel (see image above). You can see at a glance which ads are performing and which aren’t so that you can change them accordingly and increase your site’s advertising income with just a few clicks. Download your free copy of the Max Banner Ads plugin, or upgrade to the pro version for $47 to remove the developer’s link. 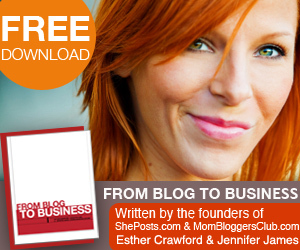 Esther Crawford from ShePosts.com and Jennifer James from Mom Bloggers Club got together and created this fabulous ebook called From Blog to Business. Don’t let the price fool you – this is one valuable tool if you have a blog or are interested in starting one! These experienced ladies give you all the information you need to figure out how to monetize your blog, where and how to find sponsors, and how much to charge. You’ll also find sample forms and marketing materials to help you create a professional media kit that can help you attract sponsors and advertisers. Head over to FromBlogToBusiness.com to get your copy today! If your blog has an active Twitter community, or if you’d just like to encourage readers to tweet your posts, then you should really consider adding a TweetMeme button to each of your posts. You can choose the full sized button like this one or a compact button, and you can even decide whether to put the button at the top or bottom of your posts. I recommend top for short posts and bottom for long ones. You can setup and run a blog for your business with very little expense, and in just a few simple steps! Read our “7 Reasons You Need a Blog for Your Business” post if you’re still not sure that you need one 😉 then come back here and let’s get started on your blog! 1) Decide on a domain name. If you already have a website for your business then you might want to use something like blog.mybusiness.com or mybusiness.com/blog as the web address for your blog. If you haven’t already purchased a domain name then you’ll need to go ahead and register one, we highly recommend using GoDaddy as the registrar where you’ll pay about $10/year for the domain name. There are several services that will allow you to start a blog for free without even registering a name, however the drawbacks of going this route are that it doesn’t look as professional to have a web address like mybusiness.myfreeblogplace.com and you don’t have complete control over your own blog with this method. Now that you have a domain name you’ll need to get it hosted – fees for hosting range from free to a couple hundred bucks a month. When you’re just starting out with your blog and traffic isn’t yet an issue, you can easily get everything you need for less than $5/month. Hosting through GoDaddy starts at $4.95/month and includes more email addresses than you’ll need and excellent customer service. In fact, they’ll even setup the blog for you, just click the box to have WordPress installed when you setup your hosting account. There is more than one option when it comes to choosing your blogging software but WordPress is by far the leader in the field. It is free to use and because it is so prevalent, you’ll find lots of themes, plugins, and online tutorials that will help you to customize and use WordPress. The most enjoyable part of creating your blog is probably choosing the theme! Take some time and really think about what you want for your blog, look around at other blogs and make some notes on what you like about them. Do you want a large header image or no header image? Do you need a dropdown menu? Do you want one, two or three sidebars? Should they be on the left, right or both sides? Once you have a rough idea of the format you’d like, do a Google search for ‘free WordPress themes’ and start scrolling through them to find ones that most closely match your list. Keep in mind that it is much easier to change the theme’s colors and images than it is to change its format and overall layout. Once you’ve picked out a theme and have updated it with your own images and color scheme, you’ll want to take a look at the blog’s settings. This is where you’ll decide things like what to use for the blog’s title, whether comments will need to approved, and what format to use for links to posts and pages. Although it is easy to change, you should carefully consider what to use for your blog’s title since it will show up in the title bar for your web pages. The link format is also an important decision because this is not very easy to change later. Your options include links formatted with the post number or post title in them. If you decide to change this format at a later date, it is technically easy to do but any links back to your pages will no longer work so this is not recommended. 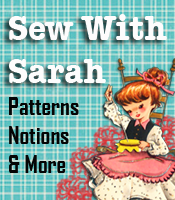 All sorts of plugins are available, most for free, that add different functions to your blog. For example, you can add plugins that will check your traffic, add contact forms, pull in YouTube videos, follow tweets on Twitter and much, much more. There are plugins that will display your eBay listings or Etsy listings in the sidebar, and some that will work with PayPal and other payment processors to add a shopping cart directly to your blog. You should post on your blog regularly – this can be daily, weekly, monthly, whatever you decide – just be sure to keep up pretty much the same schedule so your readers will know what to expect from you. Start out with a welcome post that thanks your readers for visiting with you, then just keep it going with other news and information about your business, your products, any press or media attention, and don’t forget to announce your sales and specials as well as any charitable events or causes that you might participate in. If you plan to blog daily then consider writing up an editorial calendar that lists your planned topics for each day of the week so you don’t find yourself scrounging for topics. For example, you might decide to announce new weekly specials on Mondays, list some tips on Tuesday, on Wednesdays answer reader questions, link to tutorials on Thursdays, and so forth. 6) Let the world know! Now all you need to do is get the word out! Start by putting the web address to your blog on your business cards or in any ads or print materials you produce for your business. Visit forums and other blogs or websites in your industry where you have something to offer to the conversation and start joining in, making sure to leave a link to your blog in your comments of course. Use a signature file in all of your outgoing emails that includes a link to your blog. By using these methods and providing valuable content, you’ll be able to build links, traffic AND more sales for your business!